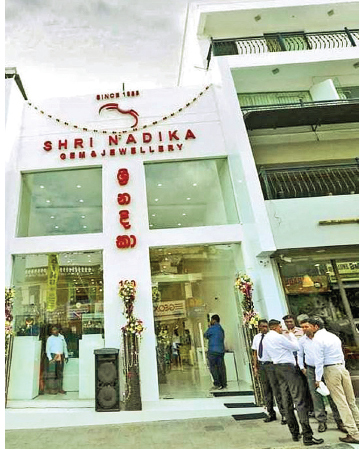 Shri Nadika Jeweler, one of the leading jewellery company in Sri Lanka, opened a new branch at, Kurunegala. Founded by N.P.M. Pillai three decades ago in Kegalle, Shri Nadika Jewellers had come a long way successfully with another branch at Colombo Street, Kandy. Known for craftsmanship and innovative designs, Shri Nadika Jewellers manufacture jewellery in gold, platinum, silver and white gold, studded with diamonds, pearls and gems ranging from infant’s pendant to entire wedding jewelry keeping the customers’ satisfaction on top. The Kurunegala branch displays a wide range of high quality jewellery manufactured with state of the art technology. Shri Nadika Jewelers is currently having around 80 employees including 20 well experienced jewellery designers. Gosh N. Pillai, Managing Director represents the second generation with his brother Dushan Pillai and mother Wasantha Devi comprising the board of directors. Under the supervision of Gosh N. Pillai who has had a higher education in jewellery in UK , the Kandyan branch of Shri Nadika Jewellers operates a gem museum. Commenting at the opening ceremony Gosh N. Pillai, MD, Shri Nadika Jewelers, stated that opening up a new branch in the capital of North Western province was is a huge success for his business which was hither to be based in Sabaragamuwa and the Central provinces.